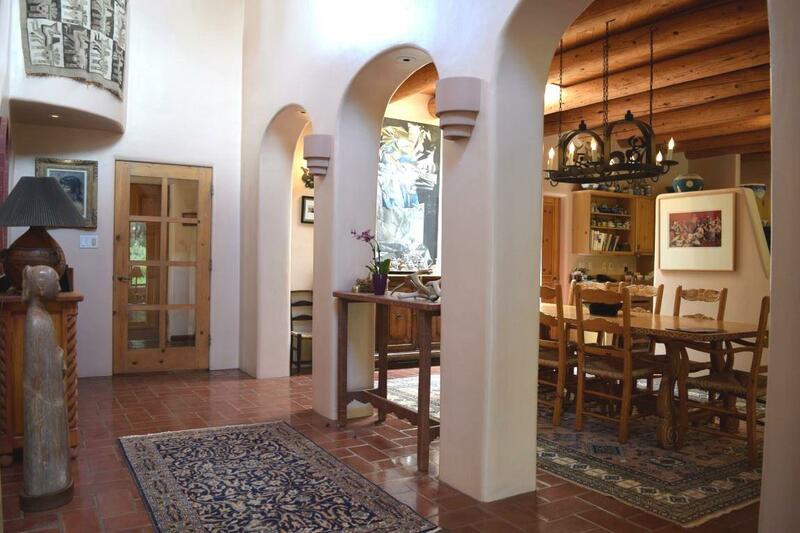 Mountain living on 10.61 acres, this property is truly special. 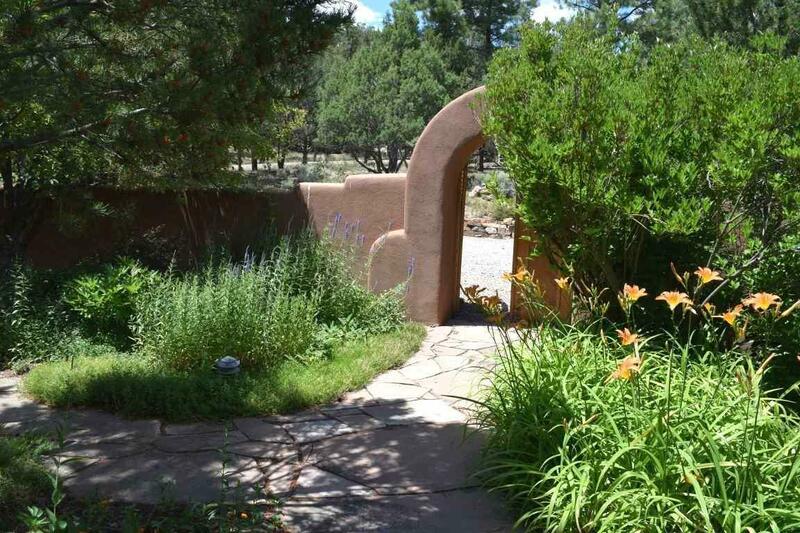 Lose and find yourself within the forest of pinon and juniper. Luscious landscaping, native grasses, gravel pathways, bocce ball court, putting green, outdoor lap pool, hot tub plus picturesque sitting areasescape to your personal retreat. Endless outdoor opportunities: hike, bike, swim, practice golf, ride horseback, snowshoe, and cross-country ski. This is an outdoor lovers paradise. 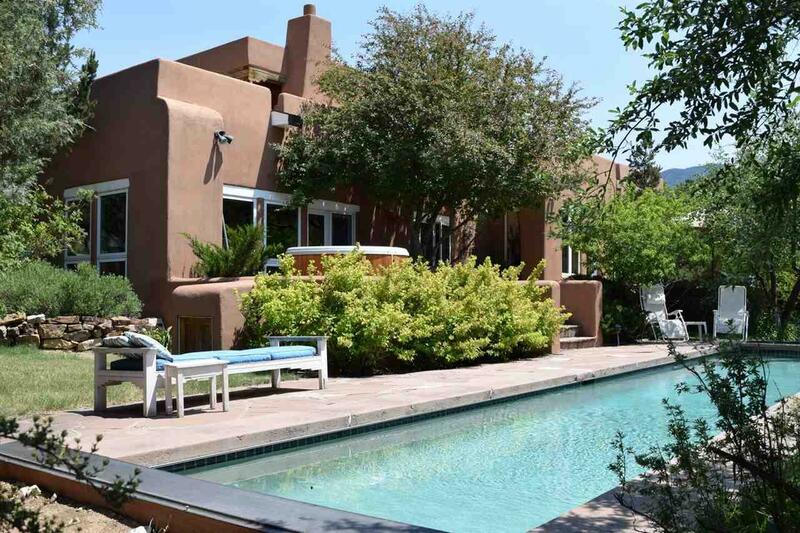 Built in 1987 by Mark Wilson, designed by the owner and Robert Sturtcman this Pueblo style home evokes warmth and comfort. 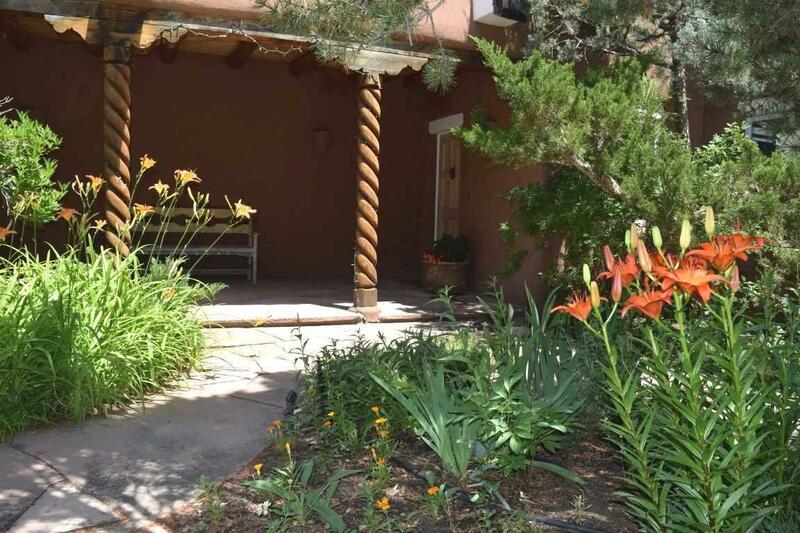 Gracious courtyard entry welcomes all in true Taos style. The interior is spacious and light filled. Living room opens onto a patio with several sitting areas. Dining, kitchen and breakfast area provide the perfect space for entertaining or enjoying a family meal. Split floor plan and upstairs office with deck and mountain/sunset views. A master wing with his and her bathroom, walk-in closet and spa-like shower area. Adjoining exercise room with access to outdoor lap pool, hot tub and sitting area convenient for a morning swim or a sunset soak. Two guest bedroom suites are large with kiva fireplaces, individual bathrooms and outdoor patios. Attached heated 2 car garage, log cabin, lush gardens and pathways nestled under mature trees. Live your dream!